Ilaveezhapoonchira, a beautiful tourist destination in Kottayam district of Kerala. It is located in Melukavu village in Kottayam, near Kanjar. It is one of the best place for trekking in Kottayam district. It is situated 55 kilometers away from Kottayam at an altitude of 3200 feet above the sea level. A best place for trekking lovers surrounded by hills. Ilaveezhapoonchira is also an apt place for adventure driving. 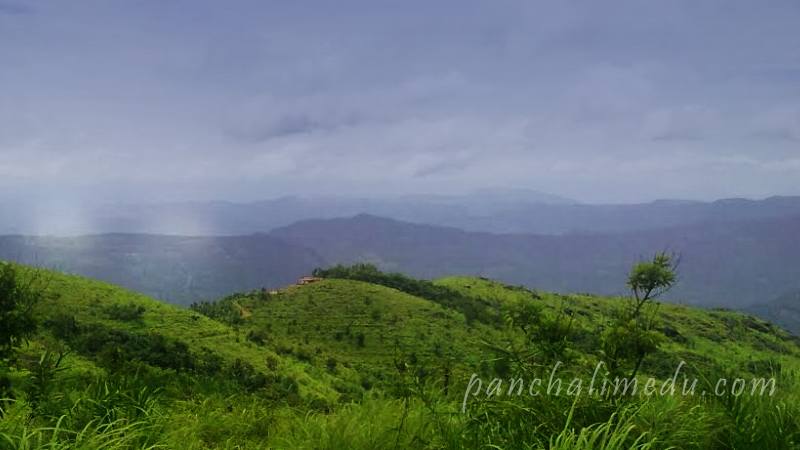 Ilaveezhapoonchira is surrounded by three enchanting hillocks. Mankunnu hills, Kudayathur hill and Thonippara hills make the place very attractive. It is an enchanting destination for true nature lovers and adventure loving tourists. It is sprawled in thousands of acres and makes a cool destination for the nature lovers. It provides enchanting views and rejuvenating experience for the lovers of nature. 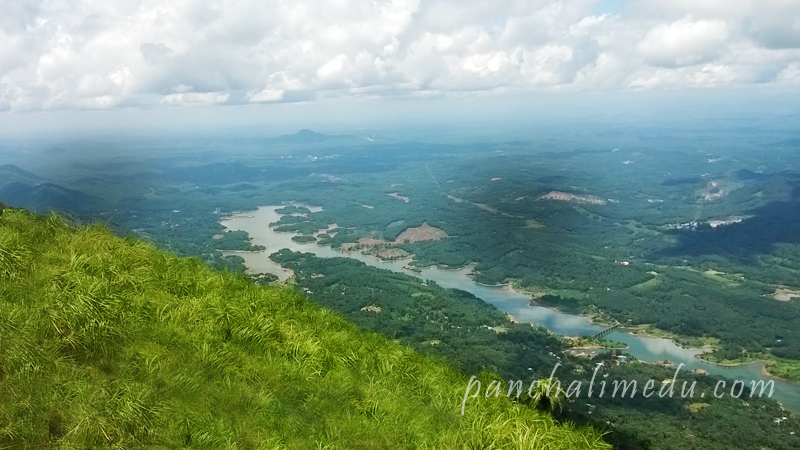 A vast area of Idukki, Pathanamthitta, Kottayam, Thrissur, Ernakulum and Alapuzha can be seen from the peek of this place. Absolutely, Ilaveezha poonchira is a great place for relaxation from the hustle and bustle of daily life. A green landscape for realizing the beauty of nature, a mesmerizing view for your eyes. Ila-veezhaa-poonchira”, means ‘A pond of flowers where the leaves do not fall. The reason behind the name said to be is the leaves are carried away by the continuous and heavy wind this area. The valley is filled with water in the monsoon. A lake is formed in the valley. Taxi services are available from the nearby places. What can be done in Ilaveezhapoonchira? Trekking: A perfect hill station for trekkers, it will give a delightful experience for you. Bird Watching: This place is having some rare specious of bird. Good time to visit Ilaveezhapoonchira? During the monsoon the whether is chilling. If you want to enjoy monsoon rains and whether you can visit the place in June, July months. October to February is the best time to visit Ilaveezhapoonchira.